The Vintner are definitely not your stereotypical wine merchants. MD Tom Gilbey and his passionate young team have a huge amount of energy and knowledge in their field of expertise, which is why we trust them implicitly when it comes to advice on choosing the right wines for weddings and parties. We thoroughly recommend visiting their stunning shop and dedicated tasting rooms in Parsons Green – the whole experience is a real delight. 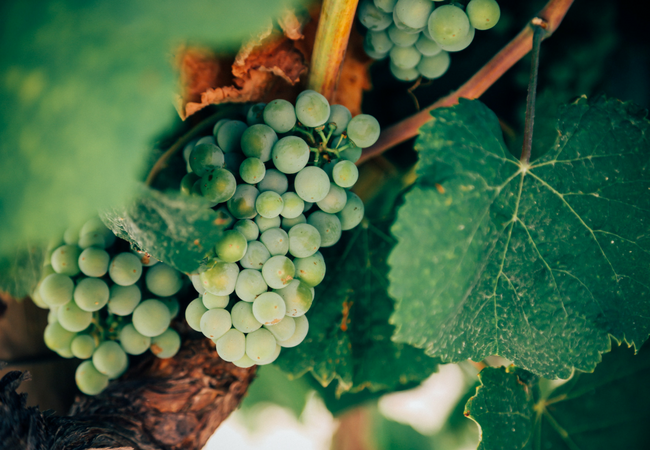 Whether you’re after wine for drinking over the Summer months or you want to know more about laying down wine for the future, The Vintner really know their stuff. We’re delighted that The Vintner are offering all ‘friends of Apollo’ a fantastic discount on orders for a limited period only (see details below) – perfect timing if you’re planning a Summer party or wedding in 2018. 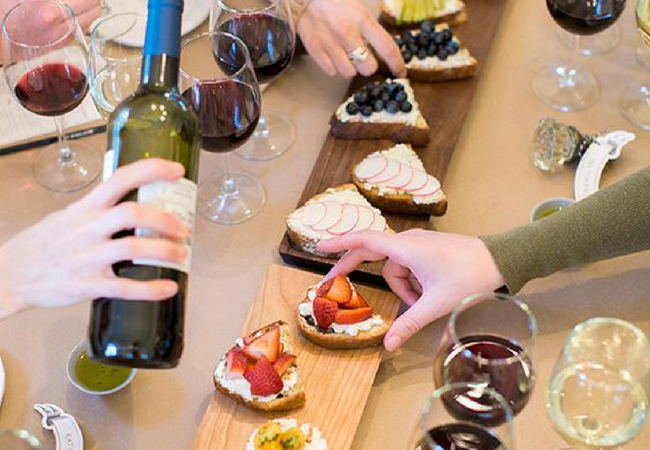 How important is pairing the right wine with your menu? Try to match the weight of the food with the weight of the wine: Rich, heavyweight foods, like red meat casseroles need full-bodied wines. If you don’t want a big red with meat, try a full-bodied white wine over a light-styled red wine. Lightweight food like poultry and fish are complemented by more delicate wines. Match full flavours together, like Sauvignon Blanc and asparagus, mild flavours like Muscadet and oysters. A Reisling or Grüner Veltiner is a great pairing with spicy dishes. The more textured the food (e.g. fatty – like duck, chewy – like steak) the more tannin you need in the wine. Cabernet Sauvignon, Malbec, Tannat all have very thick skins producing deeply coloured high tannin wines. Salty foods are enhanced and balanced by a hint of sweetness: Sauternes, a lusciously sweet wine from the Bordeaux region, is a famous match with salty Roquefort cheese. Is Champagne still the drink of choice at weddings? 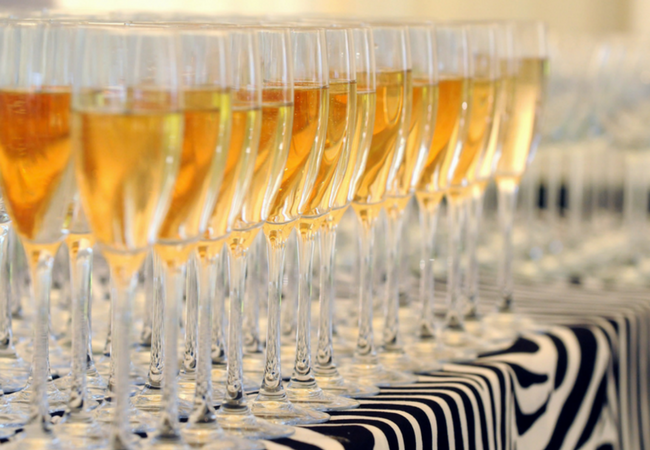 Nothing beats celebrating with a glass of Champagne…if you can afford it. 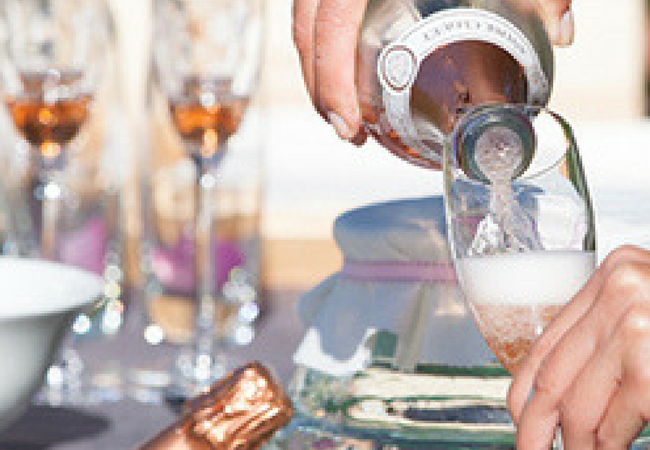 However, there are alternatives that are more friendly on the bank balance, such as quality Prosecco or Crémant and Cava that are sparkling wines made in the Champagne method. Can you help with tastings? We always recommend a wine tasting in the same way as you would taste the food before selecting your courses. We would happily put this on for you at no cost to ensure you have the perfect wine for your wedding. We have a dedicated tasting room in Parsons Green London which is the perfect space to select the right wine for you and your guests. Based on your food menu, we hand-select a few options at varying price points for each course. Our aim is to make the whole process easy and enjoyable as possible. Suggestions please for a really lovely bottle to send as a gift? An engraved Champagne magnum in a wooden case always goes down well. What’s good to drink in Summer? If you didn’t immediately think rosé then perhaps it is not your tipple! A fresh zingy white or a fruity light red does the trick well: a Provence rosé; NZ Sauvignon Blanc or Chablis; or a French Pinot Noir. Any current trends that you’ve spotted in the wine world? Lower alcohol wine (11%) is trending along with drinking less but more premium styles. Recommendations for a dessert wine to serve with pudding or cheese? A classic Monbazillac from southern France is a great option which is a touch cheaper than the famous Sauternes but will also have enough richness to accompany a proper treacle tart! What would be a good British wine or champagne to serve at a wedding? Very on trend at the moment… our clients are looking to match their locally sourced food with home grown wine. We highly recommend the excellent Gusbourne Estate for fizz – either their Brut Reserve or Rosé made in Kent are out of this world and have shown up many Champagnes. Stopham Estate Pinot Gris from West Sussex is a still white wine that impresses everyone – similar to a Sauvignon Blanc, there is lots of freshness but less of the ripe gooseberries. Advice on quantities for a wedding or party? Generally work on 2 glasses of fizz per person for the reception and 3/4 to a full bottle of wine per person for dinner. We can offer advice on how best to stock up for your wedding with a view on how much is needed for a reception and how to balance out the amount of red and white depending on the chosen courses. We can guarantee you will have just the right amount of the perfect wine, at the right price to fit your budget and your menu. The Vintner are kindly offering all ‘friends of Apollo’ a 10% discount off their purchase. Simply visit http://www.thevintner.com/ and add the code Apollo10 at the checkout. This offer is valid for a limited time only until 30/09/17.